We are in the business of generating predictable revenue for our clients using the latest digital marketing tools and strategies. Digital marketing is a multi-faceted approach to your online strategy, encompassing social media, SEO, paid advertising, email automation, content, website development, and analytics and reporting. It’s about generating leads and customers for your business through integrated digital strategies and campaigns. Digital marketing can include Google AdWords, Facebook contests, MailChimp newsletters, HubSpot automation, influencer campaigns, Shopify eCommerce upselling, and a thousand other specific digital strategies and tactics, which most often work in alignment with one another, centered around a common goal. Digital marketing’s only goal is to grow sales by acquiring new leads, clients and customers. At Social Lite, we have managed hundreds of digital marketing campaigns — the good, the great, and the phenomenal. As a result of our persistence and endurance, we know exactly where NOT to waste time and money, and precisely HOW to maximize effort and profit. We are in the business of generating predictable sales for our clients, and if this sounds like your goal, a full-scale integrated digital marketing campaign may be your solution. But before you get too excited, understand there are no “magic bullets” in digital marketing, or short cuts. Don’t invest in a campaign expecting overnight success. To succeed, you need to invest far more than just money to make this work. You not only need a digital marketing team to create and execute your strategy, but to continuously adapt your campaign based on new data and insights. This is the only way to incrementally improve your results over time and grow your success. You need to adopt an internal culture of content and champion your digital marketing campaign companywide. You need sales people who will manage the inbound leads that your campaign will generate, without skipping a beat. And most importantly, your company needs to commit to a digital marketing department for the long haul, whether or not that’s with an agency like Social Lite. WHAT INDUSTRIES DOES DIGITAL MARKETING WORK FOR? For your digital marketing strategy to succeed, you need to align your campaign with how you currently get customers. How do you currently engage, convert and ascend your sales prospects? What is the length of your sales cycle, and what is the lifetime value of your customer? aware → engage → subscribe → convert → excite → ascend → advocate → promote. To create a successful digital marketing campaign that grows your revenue, you need to ensure you are providing undeniable value to your sales leads as they interact with you at each of the 8 stages of the customer journey (read more into Social Lite’s Customer Value Journey marketing methodology). It doesn’t matter what business or industry you’re in, or who your customer is — digital marketing success is possible if you first develop a strategy that focuses on how to ascend every lead you come in contact with by offering immense value at each touch point. At Social Lite, we have launched successful campaigns in every corner of the economy, and every campaign can be categorized into two scenarios: B2B Lead Generation or B2C Customer Acquisition. Whether you are an architecture or engineering firm, a construction or oil & gas company, a parts manufacturer, a wholesaler, or any other type of business that sells to other businesses, 90% of the time your digital marketing strategy will be focused on lead generation and igniting new sales opportunities and meetings for your sales team. Most often your campaign will include a longer lead nurturing and sales cycle, because the costs are higher and the decision is often not made by one individual. Note there are exceptions to this, like when the sales cycle is shorter, the price tag is lower, and/or ecommerce is a component to your campaign. In this scenario, your campaign may better resemble a B2C customer acquisition strategy. Download one of Social Lite’s B2B Lead Generation Case Studies. Whether you are a hotel, ecommerce website, health clinic, subscription service, retailer, or any other business that sells directly to consumers, 90% of the time you will have a short sales cycle, so your digital marketing strategy will be focused on converting direct sales and consumer offers. Note there are exceptions to this, like when your sales cycle is longer and the price tag is higher, like with real estate and car dealerships. In these scenarios, your campaign may better resemble a B2B lead generation strategy. Download one of Social Lite’s B2C Customer Acquisition Case Studies. Regardless of the products and services your business offers, if you have a proven track record of consistent sales, and your objective is to accelerate growth, you need a full-scale digital marketing campaign that integrates several digital strategies at the various stages of your customer’s journey (read more about Social Lite’s Customer Value Journey methodology). Based on the 100s of digital marketing campaigns we have managed for our clients, we have developed three core revenue-focused service offerings, each with varying degree of scope, and each with an utmost focus on lead generation, customer acquisition, and sales growth. 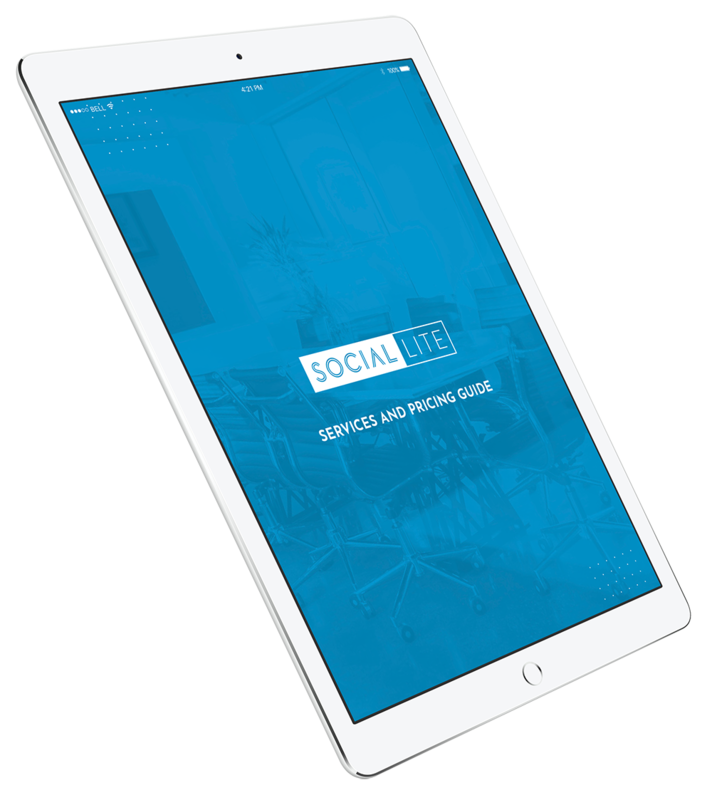 Social Lite’s most comprehensive service offering is for established companies with a proven sales process who are focused on accelerating growth. We will build and manage a fully integrated digital marketing campaign for your business to generate sales leads and acquire customers. Your multifaceted online campaign will encompass various social media, content, email automation, SEO, AdWords, analytics, and website strategies with a unified goal — to grow predictable revenue for your business. First we will develop your customer acquisition strategy and create your campaign assets. Then we will drive targeted buyers to your campaign through online advertising. We will solely execute digital advertising strategies on social media and search engines, without placing a focus on SEO, social media management, or other content strategies. We will, however, routinely optimize the campaign landing page, email workflow, and advertising strategy for greater success. This option is suitable for small businesses and/or single products. Website design is fundamental to converting visitors into customers. Your website is your online sales centre. It’s where you send all social media and search engine traffic. It’s where you engage and prime your customers to purchase. We will increase your website conversions by structuring your layout, design, copy, and user experience (UX) in a way that builds credibility, likability and trust with your visitors. Your website will be built with best practice search engine optimization (SEO) techniques to ensure your website is competitive in Google for keywords in your industry. If you are already getting lots of website traffic through search engines and social media, perfect. We will redesign and optimize your website with a focus on improving your website conversions (leads and customers). When redesigning websites with a focus on sales growth, your layout, design, copy, and UX all matter and need to be planned based on your sales process. But remember, even if you have a highly functioning website built to convert leads, if you aren’t currently getting traffic to your site, you must have an integrated digital strategy in place to get targeted customers to visit your website — advertising is a great start. Search Engine Optimization (SEO) is a very effective long-term strategy to get in front of your buyers on Google and drive traffic to your site, which is why SEO exists in every last detail of the sites we develop. Note that we only develop sites using three universal platforms: WordPress, Shopify and SquareSpace. DOWNLOAD OUR FULL SERVICES AND PRICING GUIDE. Businesses often approach us to inquire about one of our standalone strategies — social media, SEO, PPC, website design, etc. Nine times out of ten, we’re hesitant to take on any one strategy unless we first map out the Customer Value Journey. Yes, we can build you an engaged online social media following, and yes, we can help you get to the top of Google. But effective digital marketing campaigns that drive revenue often integrate multiple appropriate strategies, channels and tactics, creating a cohesive machine that works better together as a whole than the sum of its tactical parts. With this in mind, if you are looking for a specific digital marketing solution, and not a full-scale campaign that integrates various digital strategies, we have helped companies succeed by deploying proven strategies in the following areas. This is about specifically narrowing your digital campaign and advertising efforts to buyers on social media. This makes sense when you know social media is the best, and sometimes only, way to reach and engage your audience. At Social Lite, we deploy social media campaigns daily, and although it’s rare that we would limit our digital campaigns to only social media, it does happen for several reasons (like managing social campaigns for international franchises that require and audit social media activity), and can be effective. Click here to read everything you need to know about social media marketing. Your website is the ultimate online sales centre for your business. The sole reason to market on social media and search engines is to drive traffic to your online headquarters, your website. Your website is where you host guests, and as a host, it’s where you need to offer value to your visitors in every corner that they visit. By offering value, solutions and answers, your website is where you build your credibility, likability and trust. When your visitors build confidence in your products and service, the sales conversation progresses beyond browsing to interacting, and onward to commitment. Read everything you need to know about turning your website into a sales tool. If you aren’t making an effort to capture high-intent buyers who are searching for your products or services in Google, you aren’t yet serious about digital marketing. With Search Engine Marketing, you have two options: organic (SEO) or paid (PPC). With Google Adwords, you can launch paid advertising campaigns to get your company in front of people who are most likely to become paying customers. When high-intent users are searching for your product, service or solution, paid advertising allows you to get your message to the top of Google (based on target keywords and search terms) and direct traffic to your website. Click here to read everything you need to know about PPC and online advertising. If you want to succeed at digital marketing, you have to be seen where people are searching. When your customers are actively seeking your solution in Google, your website needs to compete. In the section above, we mentioned two ways to reach the top: organic (SEO) and paid (PPC). Paid advertising is the quickest way to get to the top and start driving new traffic, but it’s expensive. SEO is the organic way to dominate the search engines for keywords in your industry, but it’s not the paid sprint, it’s the methodic marathon. SEO needs to exist in every aspect of your website: your images, blog titles, meta tags, links (internal and external), and so on. The best place to start your SEO strategy is to understand what your customers are actually looking for. Use data tools like MOZ, SEMRush, and AnswerThePublic to first discover what content people want. What answers are they looking for that your company can certainly provide? Then build problem-solving content on those topics and optimize the content for search engines. Repeat this routinely, and your website’s search ranking will gain credibility over time. SEO has changed over the years, and it’s less a science focused on complex coding and programming, and more of an art that depends on robust content creation, treated with finesse. Some of the most effective SEO methods today include 10X content and pillar content strategies. Read more about these and other SEO strategies here. Digital marketing strategy is understanding how your business gets customers and aligning your online campaign to a proven sales process that will amplify your revenue. If you want to develop an online marketing strategy that will capture leads, convert buyers, and nurture raving fans and lifelong customers, first map your Customer Value Journey. Dive more into digital strategy here. The heart of your campaign is the story and the message, and you tell it through content. Through video, photography, graphic design, animations, and copywriting, your story comes to life. The way in which you reach your audience is a secondary, yet fundamental next step. You can distribute and market your content to audiences through social media, search engines, blogs, websites and emails to reach and resonate with your target audiences. Like with all marketing, your ultimate intent is to drive sales. Click here to see an integrated content marketing case study! Automation strategy lives at the middle of the marketing funnel, after you receive a website visitor’s contact information at the Subscribe stage of the Customer Value Journey. Marketing automation is about database segmentation, personalization and most importantly, lead nurturing with continued value. Through automated email workflows, you can provide scheduled communication and additional content that provides value to your database of leads, deepening the sales relationship. Read more about automated email marketing. Influencer marketing occurs when your business strikes a deal with a social media user who has a large following to feature your product or service on his/her social feed, blog or website to reach like-minded audiences. Effectively, you hire or negotiate a deal with an influencer, then they promote your offer to their big audience. 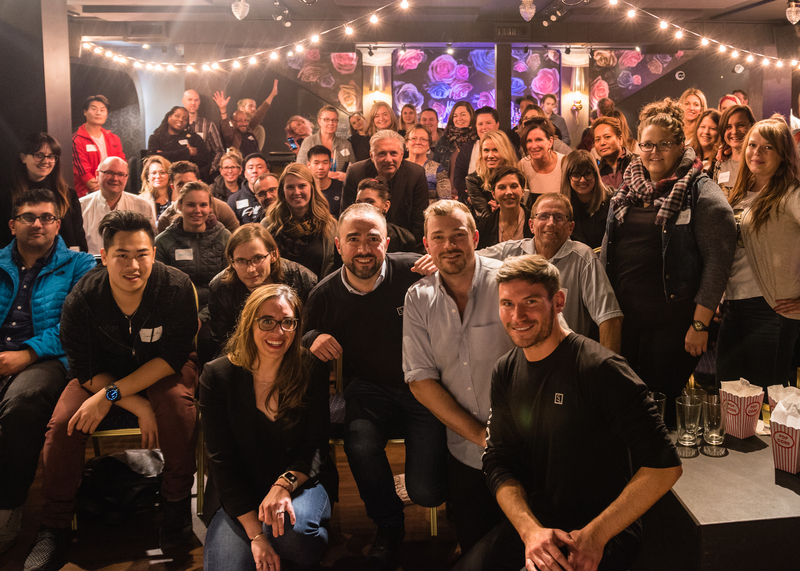 If you partner with an influencer who compliments your brand, you have the opportunity to connect with a lot of new customers quickly, who would ideally fit your target demographic. There’s a lot more to influencer marketing, which you can learn about here! Approaching a digital marketing campaign where the ultimate goal is to drive ecommerce sales is a lot like approaching any other digital marketing campaign, until the customer arrives at your site/store. ecommerce brings with it unique marketing strategies such as automated cart abandonment emails, upselling at checkout, promo codes and the other tactics focused on increasing immediate sales. See an ecommerce marketing case study. The key to digital marketing success is incremental growth — you must persistently adapt and optimize your campaigns based on measured data and insights. At Social Lite, we measure all the websites we work on using all sorts of qualitative and quantitative assessment tools. We heatmap sites, record sessions, and pick apart good ‘ol Google Analytics with a microscope. With marketing campaigns, we measure other data, like search engine impressions, social media reach, blog views, subscriptions and conversions. Whatever the case, we always measure our Key Performance Indicators (KPIs) at each on the 8 stages of the CVJ. Click here for more on analytics and reporting. At the core of every successful digital marketing campaign is strategic content. When it comes to online engagement, video is now the king of all content. Video is an incredibly effective tool for increasing your reach and engagement, growing your online audiences, building your industry authority, and ultimately converting measurable sales leads. At Social Lite, our videographers, animators, and writers can produce a video for your company that resonates with your target customer, designed for optimum reach and inbound marketing success. The homepage of your website, and your social media content, needs to intimately speak to your target customer’s aspirational state — how will your product or service transform your customer? A photograph is a powerful way to stage and capture your customer’s aspirational and transformational states. When executed strategically, photos will deepen trust, likability and interest from your online audiences, setting the foundation for a meaningful sales relationship. Learn more about marketing photography. Today, content is branding. The content your company creates and publishes defines your values and voice, and It’s not only about what the content says; it’s also about how it makes you feel. Photos and video certainly evoke emotion that resonates, but graphic design presents a unique opportunity to produce branded content that conveys a company's colour palettes, fonts, and logos, which can trigger immediate brand recognition. Your ebooks, CTAs, landing pages, subscription forms and infographics all need graphic design, and each is an opportunity to draw people to your content, and to heighten the user experience when interacting with your brand online. With or without us, your company needs to decide if you are committed to a long term marketing department. Second you need to determine if your marketing focus will be digital. If those things add up, let’s discuss growing your revenue. Copyright © 2019 Social Lite Communications Inc. All Rights Reserved.